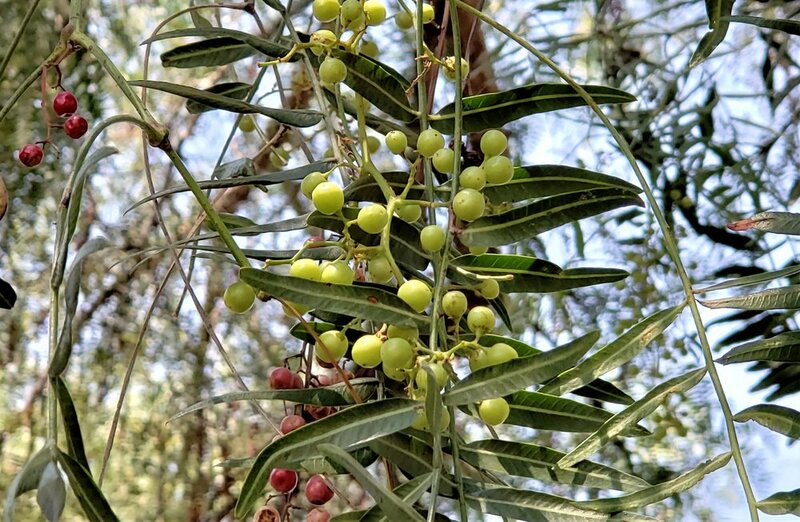 You can read Part One of my time spent in Livermore Valley Wine Country and the Tri-Valley area, a beautiful travel destination in the San Francisco East Bay region, at this link. In fact, I had such a fun time with my wine-loving media group, that I couldn’t limit myself to just one feature. 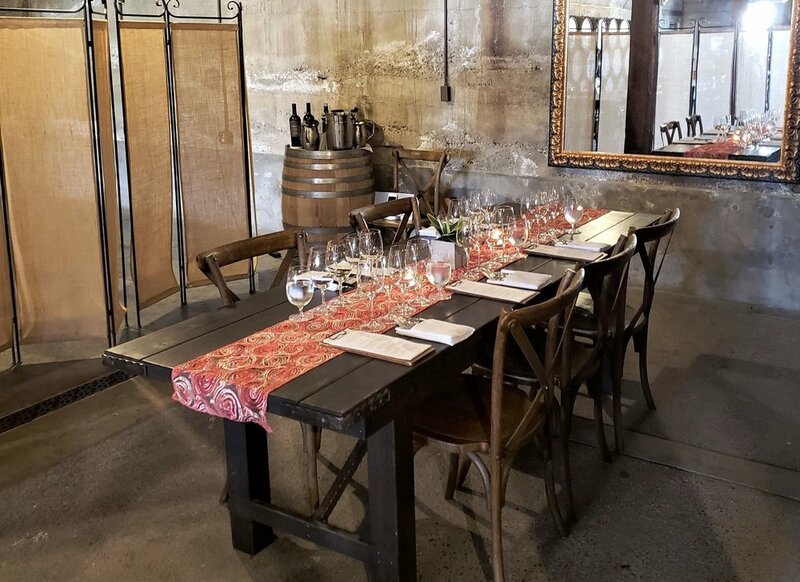 Follow along on Part Two, starting off with a visit to Retzlaff Vineyards as part of the annual Taste our Terroir festivities (click the photo below to read that recap). 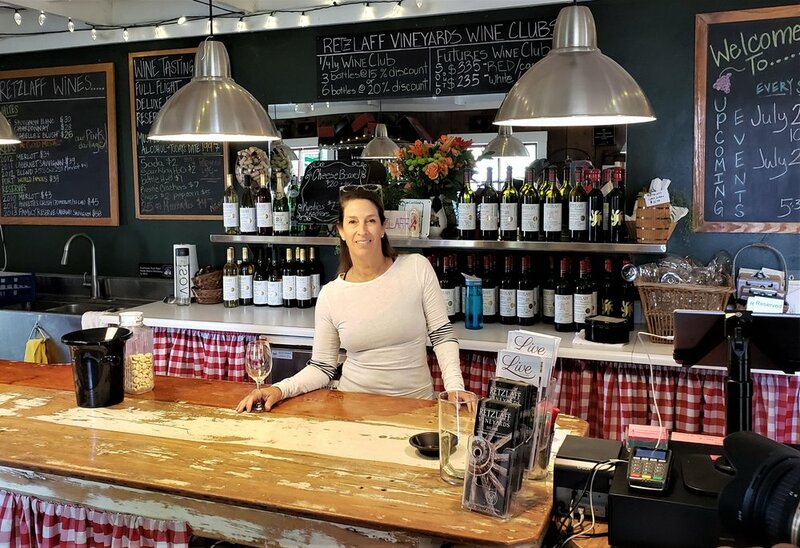 Retzlaff Vineyards Vineyards and Estate Winery is a 30-year old winery situated on 14 acres and surrounded by vineyards and picturesque grounds shaded by century-old pepper trees. Founded by Dr. Robert Taylor and his late wife Gloria on an abandoned sheep farm once part of a Victorian estate, winemaker Dr. Taylor, along with his sons, Aaron and Noah, grow certified organic grapes to produce their award-winning wine. We were greeted by Aaron’s wife Salome, who is the general manager of this idyllic property, as we learned about wines such as Isabelle’s Blush Merlot rosé, a Gold Medal San Francisco Chronicle winner, and an acclaimed port made from estate-grown Cabernet Sauvignon grapes. 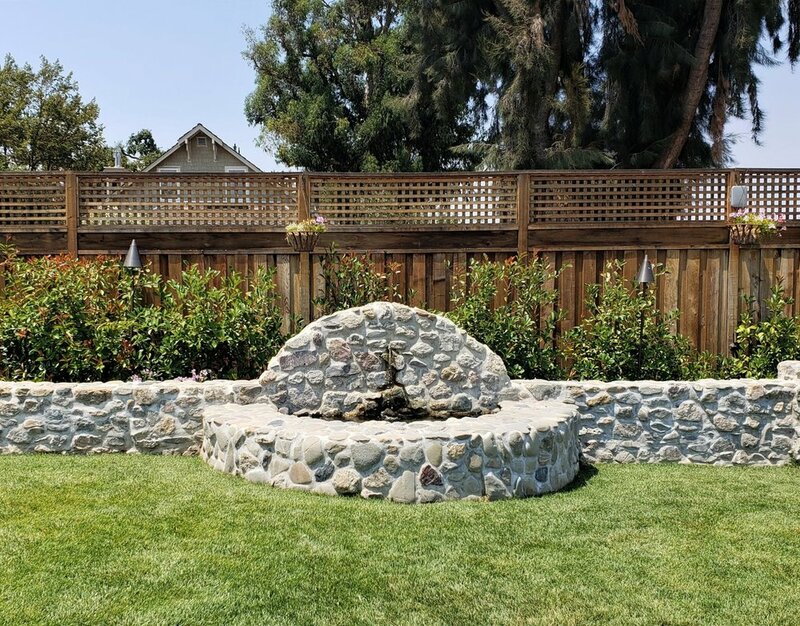 We spent a relaxing morning enjoying an al fresco brunch and wine tasting, and you’ll find Retzlaff also hosts events on the lawn such as comedy shows and music concerts, and tours of the property including the home built in 1860 and the family’s straw bale vegetable garden. You can find a full calendar of events here. To fuel an afternoon of planned winery visits, our lunch stop was Sauced BBQ & Spirits, one of the 21 breweries and alehouses that make up the Tri-Valley Beer Trail. Now having grown to four locations, the original was launched in 2012 in Livermore by cousins Brenden Scanlan and Barrett Gomes and is home to an extensive selection of brews, bourbons, and BBQ in a warm, rustic space. 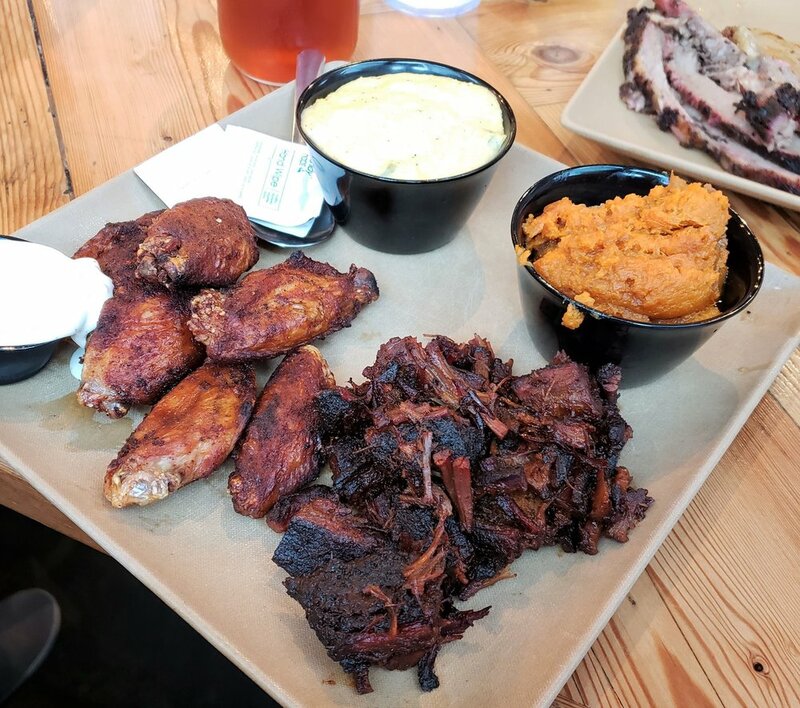 I’m a fan of both wings and burnt ends, so chose them to comprise my combo plate, with my smoked wings ordered “naked” with a dry rub and accompanied by sides of stone-ground jalapeno grits and sweet potato casserole. Judging from my lunchmates’ comments, they were just as happy with house specialties such as tender brisket, apricot-glazed smoked chicken, and the “Loaded Jumbo Sweet Potater.” Be sure to try all their signature sauces - Tin Roof, Hot Tin Roof, Pig Candy (with molasses and brown sugar) and the vinegar-based Georgia Gold. My favorite was the Hot Tin Roof with its zippy habanero kick. Next on our agenda was a visit to Concannon Vineyard. While our visit was too brief to partake in a wine tasting, I can’t imagine a prettier spot to linger for an afternoon picnic on the lawn or under the grape arbor. 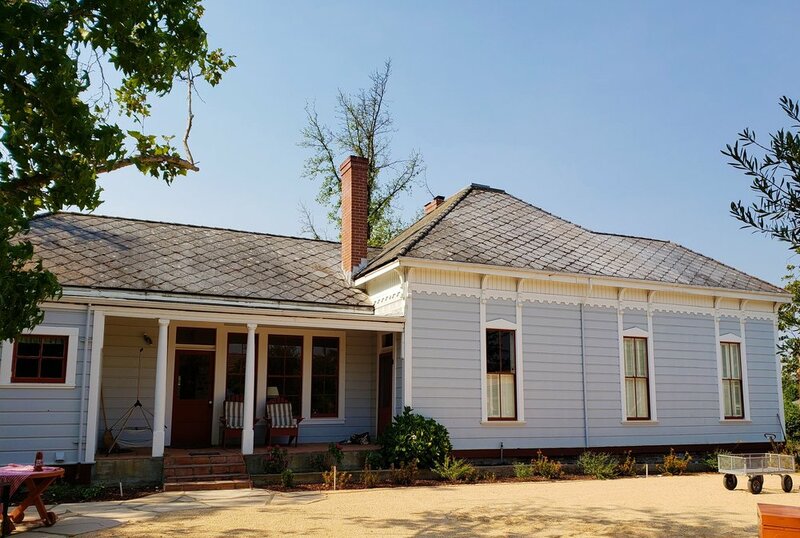 Founded in 1883 by James Concannon, this winery survived Prohibition to become the second-largest in Livermore Valley and is a registered California historical landmark. While it’s widely known for its Petite Sirah (Concannon was the first to release this as a varietal wine in 1961), it may be best recognized for its Cabernet Clones, estimated to be the basis for 80% of the Cabernet Sauvignon vines planted across California today. The original cuttings were imported from Château Margaux in Bordeaux in 1893, from which the famous Concannon Clones 7, 8 and 11 were sourced. You can learn more about the legacy of Concannon through private wine tastings and tours such as the Library Tour set in the vintage wine library, or the Landmark Tour, a walking tour of the vineyard estate encompassing historical aspects such as the original Spanish mission bell, the Ellen Rowe Concannon Victorian House built in 1885, and the Mother Vine Vineyard. Our next stop, Murrieta’s Well Estate Vineyard, is so popular that reservations are required to visit the tasting room and winery. 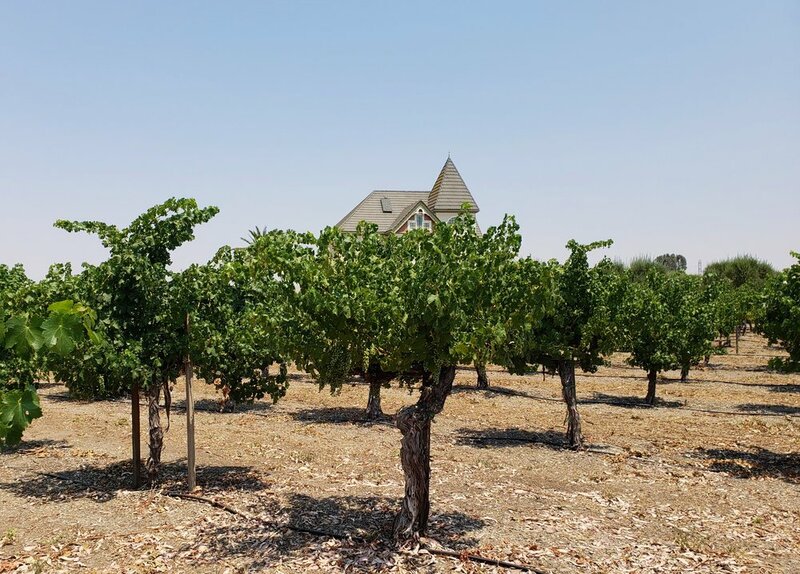 One of California’s original wine estates, its history dates back to 1884 when Louis Mel purchased the land and planted a vineyard from Chateau d’Yquem and Chateau Margaux cuttings. In 1930, Mel sold it to his friend Ernest Wente and in 1990, Philip Wente partnered with winemaker Sergio Traverso to relaunch the winery as Murrieta’s Well, with a focus on small-batch blends from 100% estate-grown grapes. I was especially excited to learn that we would be enjoying the Wine and Food Experience tour as Murrieta's Well in-house chef Tony Glanville created one of my favorite food pairings (Provencal pork terrine with cherry-fennel compote) at Friday night’s Taste Our Terroir. 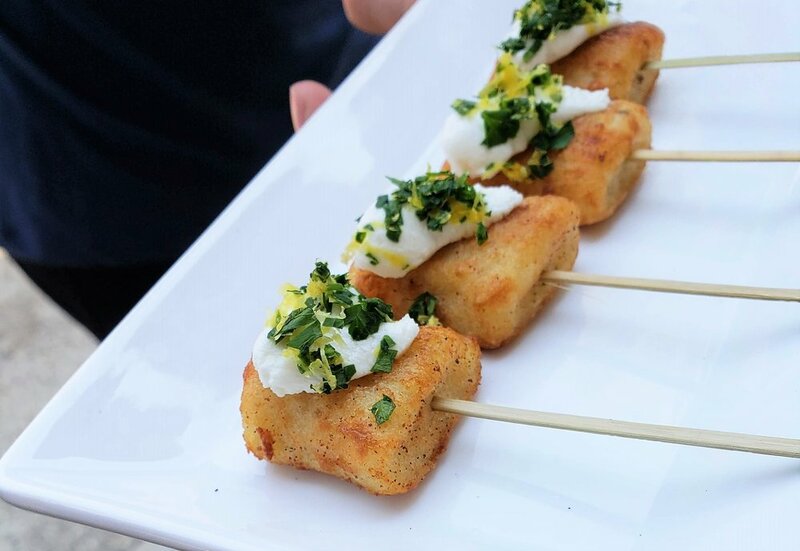 We were welcomed with a chilled glass of The Whip, an aromatic blend of Sauvignon Blanc, Semillon, Chardonnay, Orange Muscat, and Viognier delightfully paired with crispy goat cheese gnocchi crowned with creme fraiche and Meyer lemon gremolata, before setting off on our property tour. We meandered past a display garden with rows of Cabernet Sauvignon, Merlot, Cabernet Franc, Malbec, and Petit Verdot to show the variation in vines and leaf shape as we learned more about current winemaker Robbie Meyer. 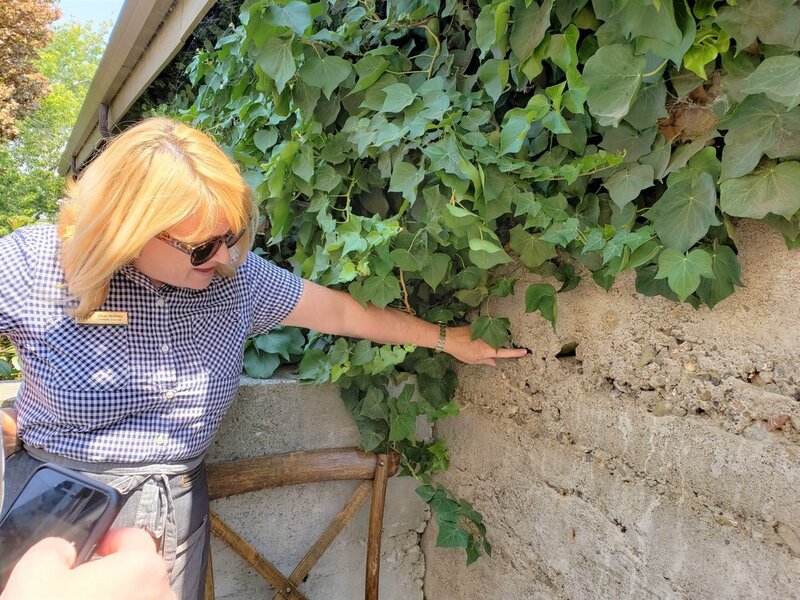 His wines are sourced from 20 varietals over 500 acres, and Jillian pointed out an estate map as she described the five vineyards covering a variety of elevations, soils, and slopes: Hayes, Louis Mel, Sachau, Raboli, and Ernest Wente. Our tour finished in the Barrel Room where our table was set for our pairing courses. Throughout our luncheon, Jillian spoke about the thoughtful wine pairings, and, bonus! - we were also joined by Executive Chef Glanville who described his delicious dishes. 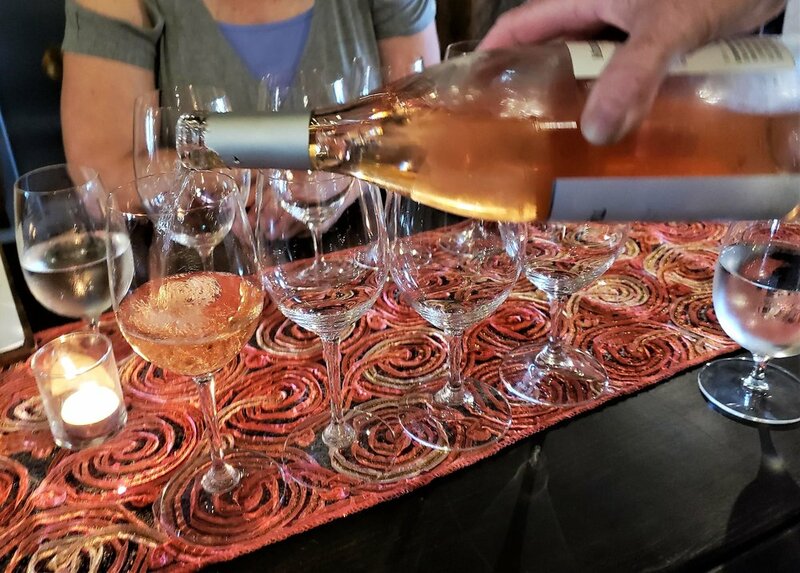 I loved our first pour, Murrieta’s Well Dry Rosé, a beautiful rosé made with a unique blend of varietals - Grenache, Counoise, and Mourvedre. I’m obviously not the only fan of this elegant wine as it was sold out on our visit, with just a few bottles reserved for Wine and Food Experience customers. It was partnered with an airy chickpea fritter graced with lemon juice and turmeric and served with fava and pea puree with whipped chévre and toasted almonds. 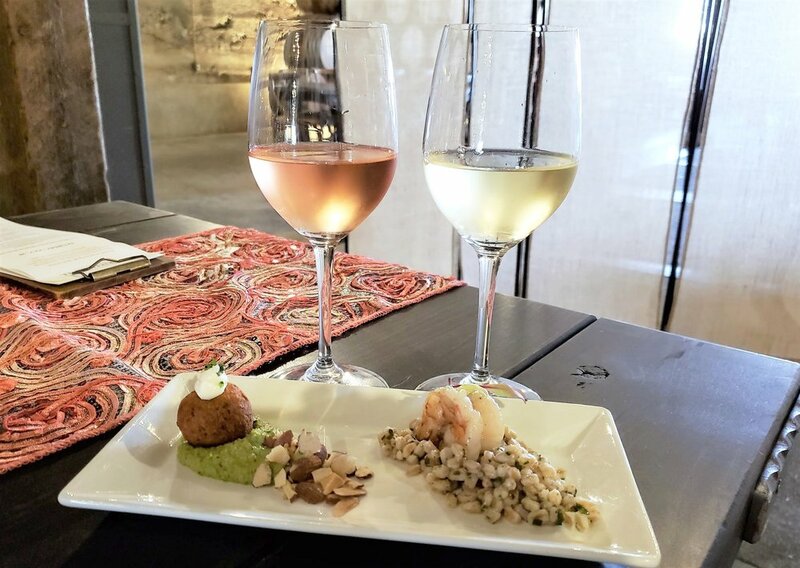 This tasty introduction was followed by Murietta’s Well bright and lively Sauvignon blanc paired with a plump brown butter grilled shrimp perched on a bed of farro salad scented with citrus and flecked with fresh herbs. Reds were next: Smoked pork bolognese over hand-cut pappardelle paired with Tempranillo, and beef filet with velvety blue cheese potato puree and sour cherry-balsamic reduction complemented by a glass of Petit Verdot (wine tasting notes below). 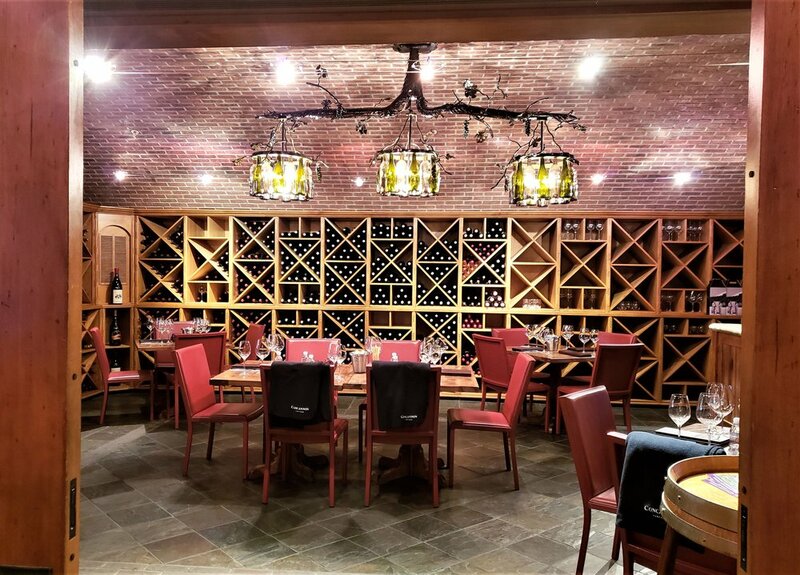 I highly recommend booking the Wine and Food Experience to fully savor Chef Glanville’s seasonal menu and Murrieta’s Well’s wonderful wines (I plan on joining their Wine Club), but you can also reserve wine tastings, dine on the patio or Barrel Room, and attend Winemakers Dinners and special events. You can find more information here. Our final stop, and the perfect finale to an amazing Livermore Valley Wine Country trip, was Cuda Ridge Wines. 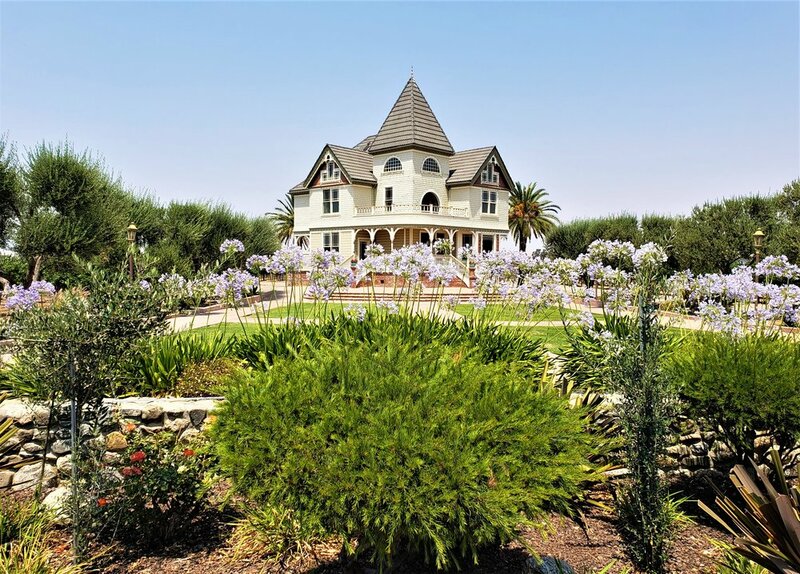 Founded in 2007 by winemaker Larry Dino and his wife Margie, this winery celebrates small-lot (100-450 cases) Bordeaux-style wines, producing mainly Semillion, Sauvignon Blanc, Cabernet Sauvignon, Merlot, Cabernet Franc, Malbec, and Petit Verdot. Rows of Petit Verdot vines beckoned us to the entrance of a renovated 1908 barn, the site of their newest tasting room and production facility, which opened in 2016. The first thing you may notice is the pop of vibrant purple in the decor and wine labels - a car color called Plum Crazy Purple, to be exact. “I have a 1970 Barracuda muscle car, and Cuda Ridge is named after our car,” said Larry. The story goes that his wife Margie was not a big fan of this car that he spent years, time, and money refurbishing, but when a friend jokingly suggested calling their wine Cuda Ridge, the name stuck. We had the privilege of sitting down with owner Larry Dino for a private wine tasting as he shared more of the story behind his award-winning wines. “Our friends had a winery and garage so rented them out to us, we got bonded, made 13 barrels the first year in 2007, and opened in 2008 with tastings by appointment only. That same year, I got laid off, and decided to ramp up the winery.” While Syrah may have been the impetus to grow their home winemaking craft (“we did a syrah in our garage that was just incredible and all our friends told us we should start a winery”) it’s Cabernet Franc that launched their commercial winery (“we made a name for ourselves with the franc, and now it’s 20% of our production”). As we start with an aromatic Semillon barrel fermented and then barrel aged in oak and acacia barrels (“it adds another dimension and a hazelnut flavor”) before moving on to a Sauvignon Blanc (“100% sauv blanc, 75% stainless, 25% neutral oak, refreshing and clean”), Larry talked about the history of these grapes both in Bordeaux and in Livermore Valley. More education followed as we compared his Bordeaux-style Cabernet Sauvignon, a recent Gold Medal winner at the Orange County Fair Competition and recipient of a San Francisco Chronicle Silver Medal, to his non-Bordeaux Black Label (“we consider this more of a California, New World-style cab, and more fruit-forward”). Petit Verdot followed, another OC Competition Gold Medal winner. “We made one barrel in 2007 when we started out as a winery, mainly as a blender to blend it into cab, merlot and cab franc, but then we liked it so much we decided to make a couple barrels and actually release one. People liked it so we just kept increasing our production every year. This comes from a Wente Vineyard, Smith Ranch, and now we do 350 cases.” Our final tasting was their signature Cabernet Franc, a complex and textured wine tasting of rich black cherry with chocolate notes, and my favorite cab franc of our trip. For more information about Cuda Ridge Wines and their calendar of events, visit this link. 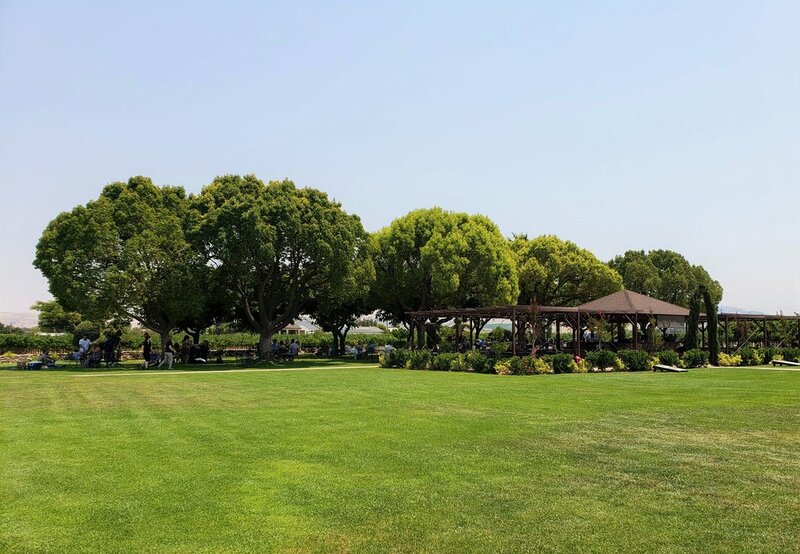 I partnered with the local tourism boards for my trip, and you can find more information on the region's activities, dining, lodging, and annual events at Livermore Valley Wine Country, and Visit Tri-Valley.